Travel is the only thing you buy that makes you richer. Travel much, unveil your imagination, enrich your experience and create lasting memories. If you have not planned your traveling destinations for 2018 yet, then this article will definitely help you make your mind up. 2018 is the year to visit Tbilisi, Georgia - one of the most gorgeous and charming European cities. The country is rich with history and culture, has breathtaking landscape and sights, delicious and flavorsome food. People in Georgia are hospitable and super friendly. Moreover, Tbilisi has earned Best Emerging Destination designation 2018 by travel experts from National Geographic, The Guardian, and Rough Guides. Cobbled stone streets lined with charming cafés and restaurants are waiting for you to discover in Tbilisi. Every bend in the street offers an exciting new find for the curious traveler. Wooden laced balconies, ancient churches, historical fortresses and bridges, sulfur baths and beautiful parks. In addition to the charm of the city there’s unique and delicious food to sample. And did you know that Georgian wines are exquisite! Try a drop of Saperavi wine to complete your meal. To make your trip even more memorable we suggest you try a new fun way to explore the beautiful city of Tbilisi. Alongside a wide range of tours on offer, Envoy Tours have introduced a new and fun way to discover the stunning sights of Tbilisi. The Exciting Tbilisi tour is a game played by fellow travelers to discover the key sights in Tbilisi. The tour provides a fun and entertaining experience. Hence you play while exploring, and explore while playing. Accompanied by a humorous, English speaking guide, you will visit various locations around the famous Old Town area and play an exciting scavenger hunt. 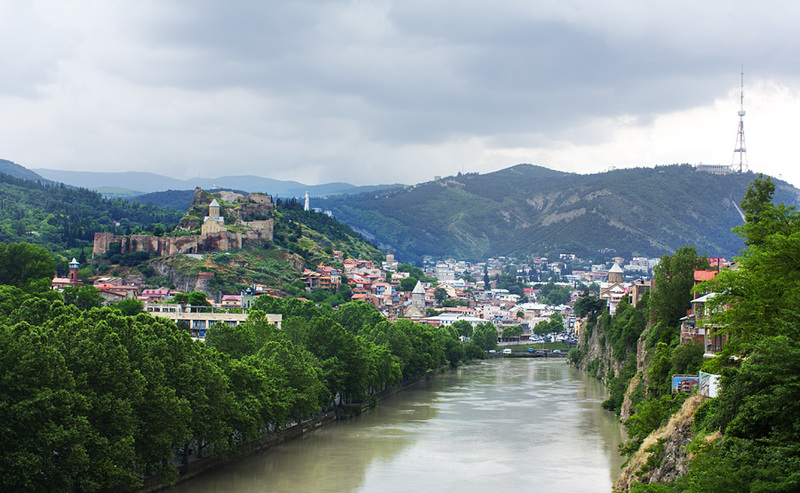 Thus you will discover the many hidden treasures of Tbilisi through fun challenges and clues. As a result, you will find out how wonderful this city is and how lovely the people are. While playing and having fun, you will also uncover interesting stories and striking facts about Tbilisi, too. Sounds like fun? You can book your tour here. Better yet, stay at Envoy hostel and go for free! Have questions while planning your trip? Contact Envoy Hostel & Tours for more info and advice.